These are super easy to make and so delicious. 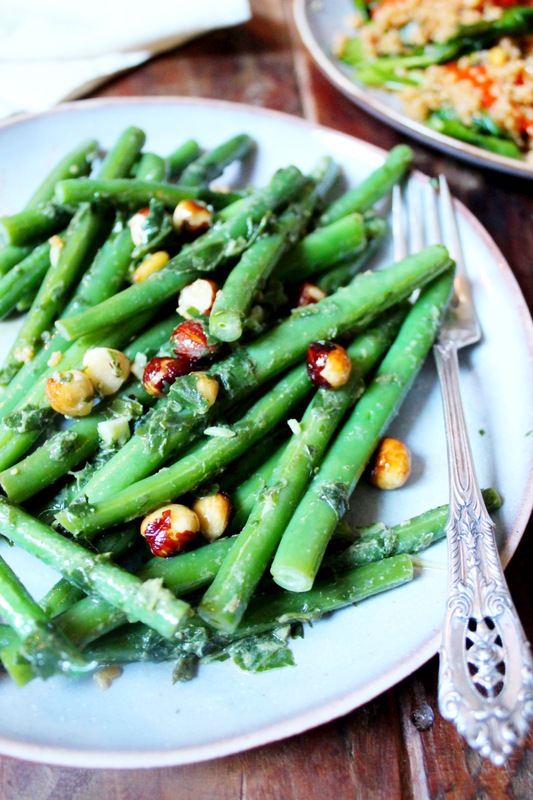 The basil dressing is so perfect with the crisp greens beans and the crunch of the roasted hazelnuts makes them extra special. Of course, they’re gorgeous fresh, but I usually make this ahead of time and keep them in the fridge for last minute lunches – paired with some grilled chicken or a few more salads and these are perfect for lunch at your desk. Dry roast the hazelnuts at 180’C for about 10 minutes. 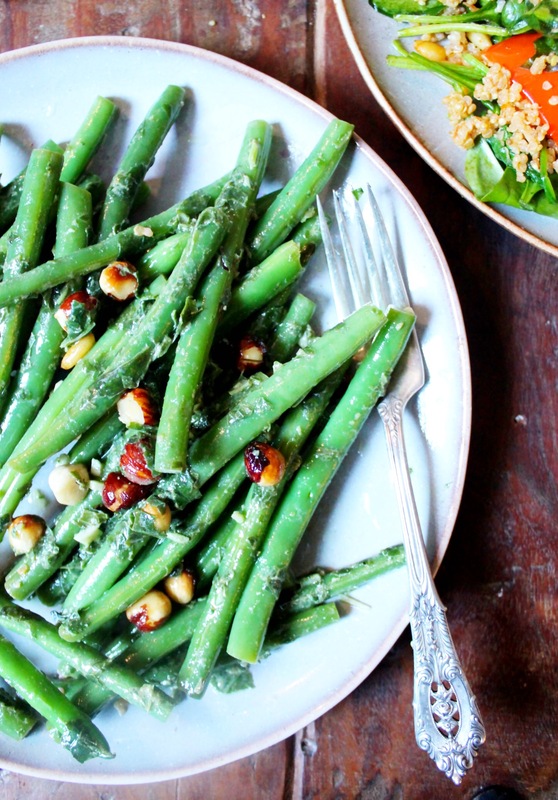 Top and tail your greenbeans. Place a medium pot of water on medium heat and add in a good pinch of coarse salt. When it’s boiling, add in the beans. Cook them for 4-5 minutes until bright green and crisp. As soon as they’re done, pour them into a colander, and rinse with cold water to stop the cooking process. Leave them to drain while you make the dressing. Add the olive oil, minced garlic, basil, vinegar and dijon to your blender. Blend until you smooth. Add the beans and hazelnuts to a large bowl. Pour the dressing in on top and toss well. What can I substitute hazelnuts with? I love the flavor of mustard and green beans together. It’s a match made in heaven!